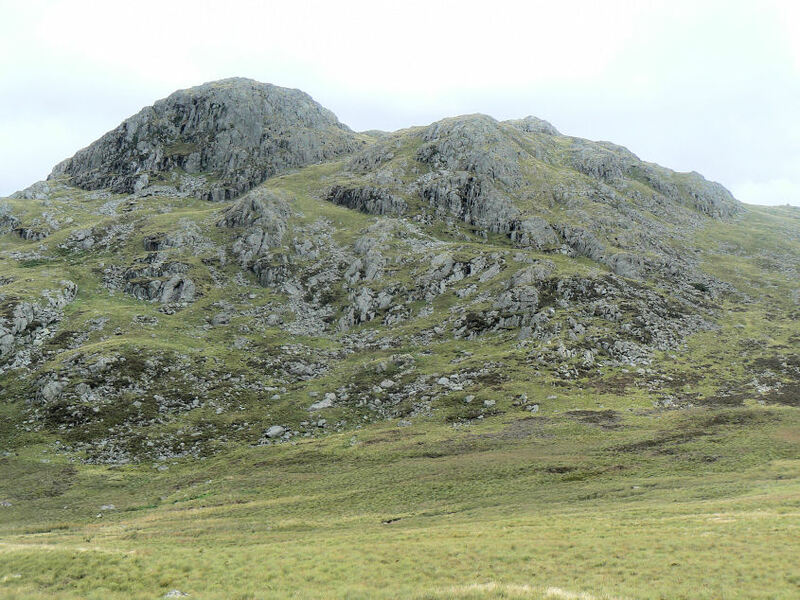 The original intention today had been to include Green Crag in this walk but John's knee had been painful for a couple of days so we decided to miss it out and instead we were rewarded with a 'lovely stretch' of boggy ground as we made our way between Broad Crag and Far Hill. 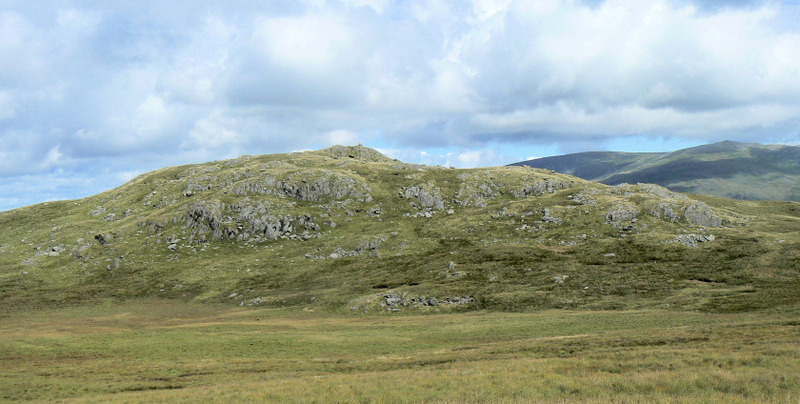 It seemed like we had Birker Fell to ourselves today, as we met no-one all day, which you certainly can't complain about in the middle of the school summer holidays. Weather: Grey and overcast to start but warm and sunny by the end. 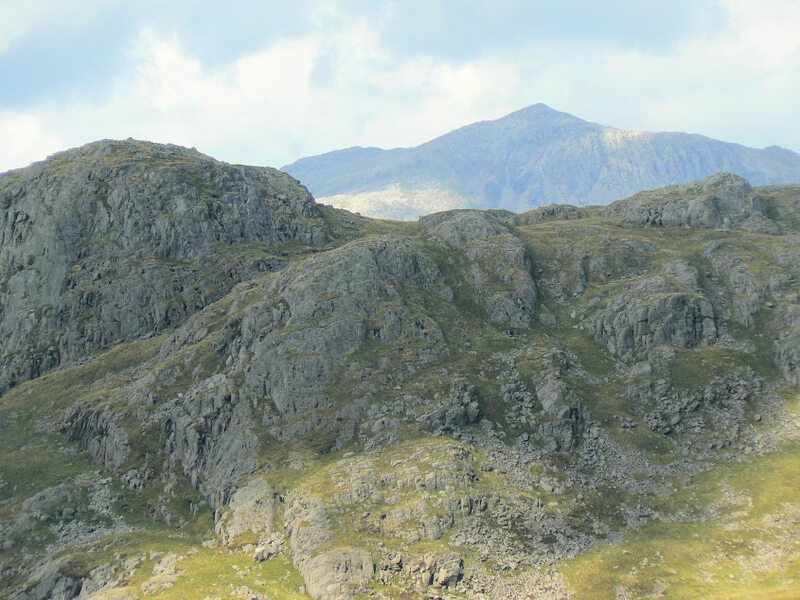 The first summit of the day, Great Crag, seen here behind Little Crag. Looking back towards Devoke Water from the summit of Great Crag. The final summit of the day, Great Worm Crag from Great Crag's summit. 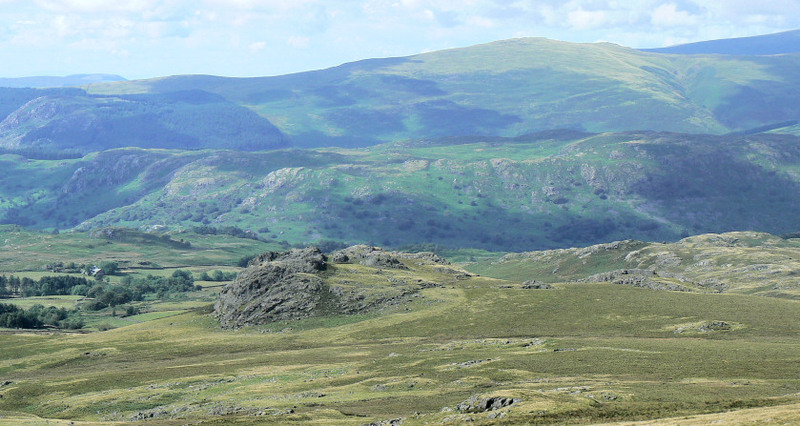 Looking across Birker Fell to Green Crag with Broad Crag in front. 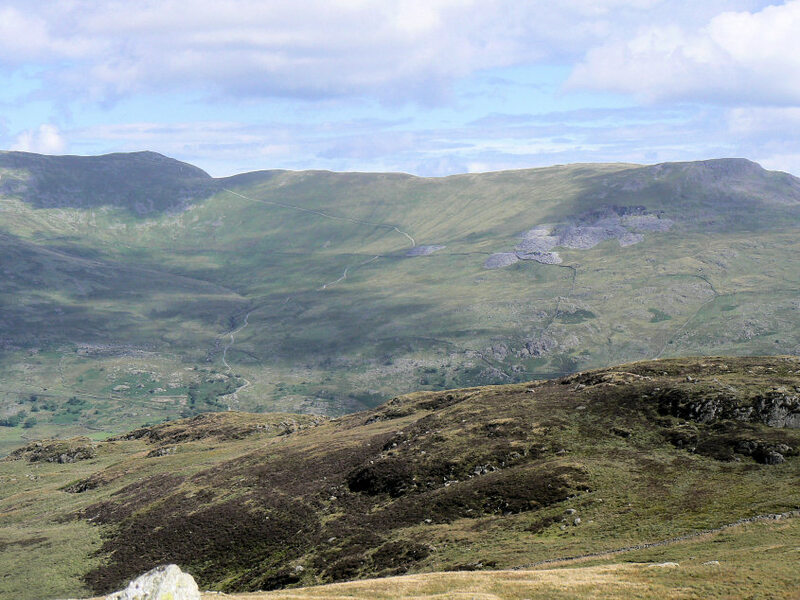 Looking back to Great Crag from Broad Crag's summit. We had lunch on Far Hill with the weather improving all the time as we sat looking towards the Dow Crag - Brown Pike ridge. White How our next objective after lunch. Stickle Pike from White How's summit. Caw (R) & Pikes (L) a lot clearer than when we were up there a few weeks ago. 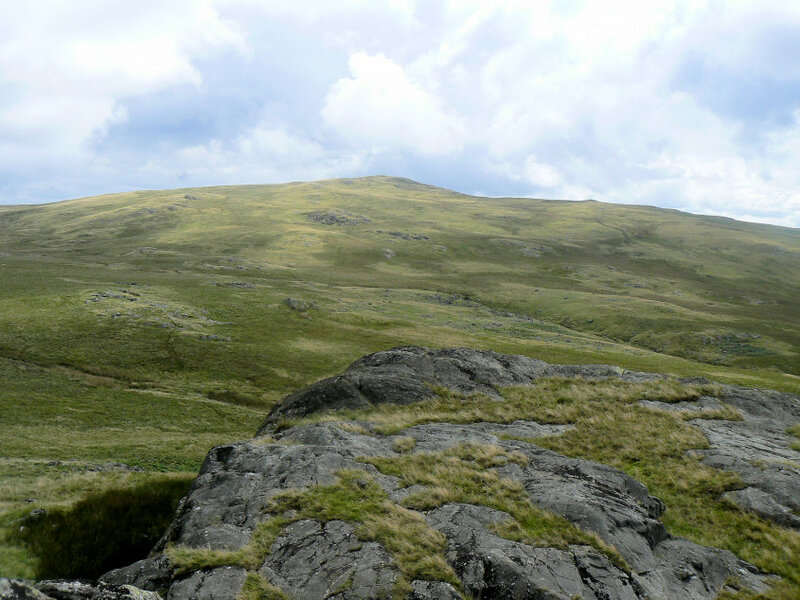 The Walna Scar Road with to its left Brown Pike and to its right Walna Scar, White Maiden & White Pike. 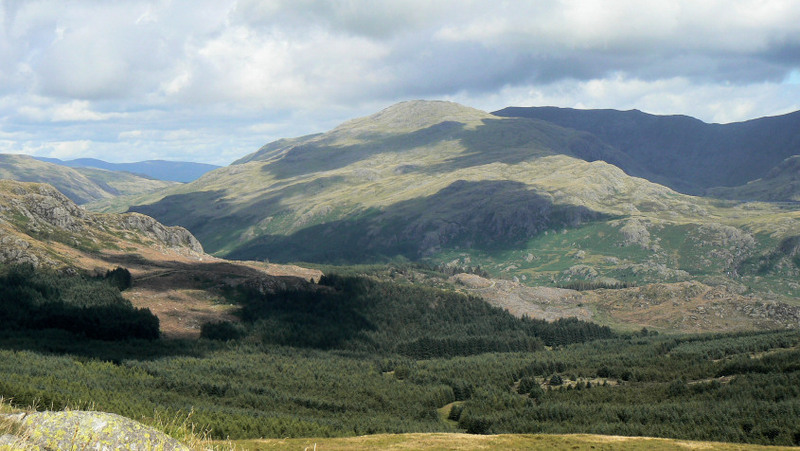 The Coniston Fells across Dunnerdale Forest. 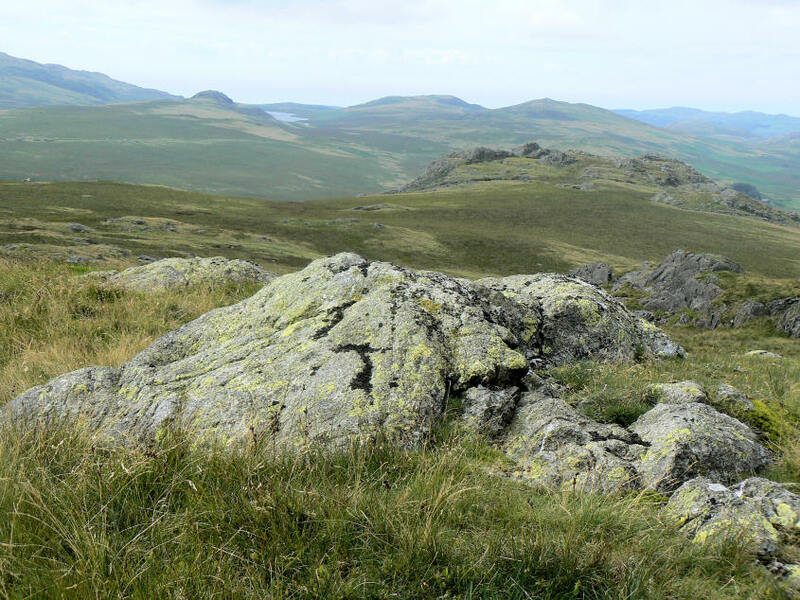 Looking up Great Moss towards Scafell, Scafell Pike, Esk Pike and Bowfell. 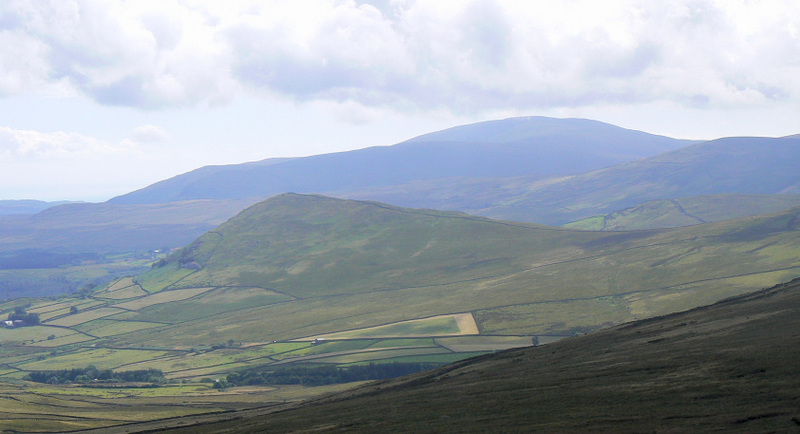 Looking across The Pike to Black Combe. 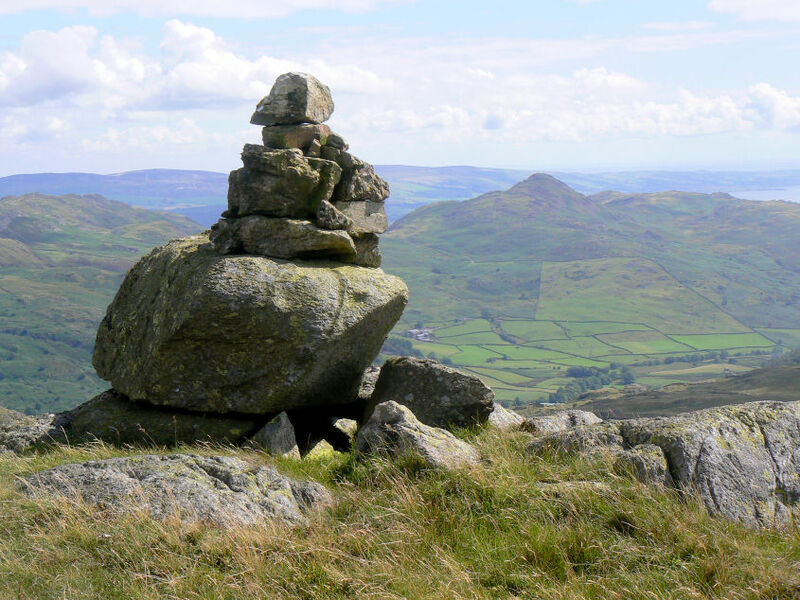 Stickle Pike & the Duddon Estuary. Looking across Green Crag to the Scafells now clear of cloud. 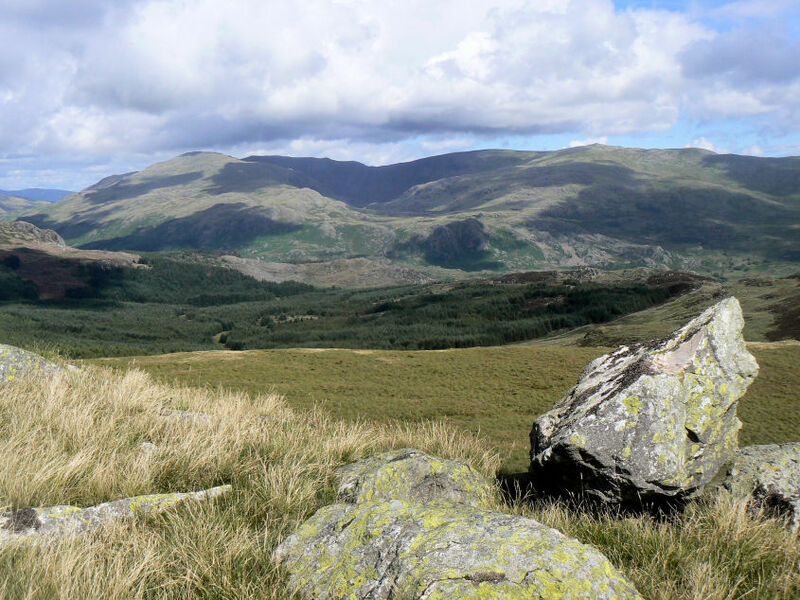 Looking from Great Worm Crag to Great Crag with Muncaster Fell centre and the Screes behind. 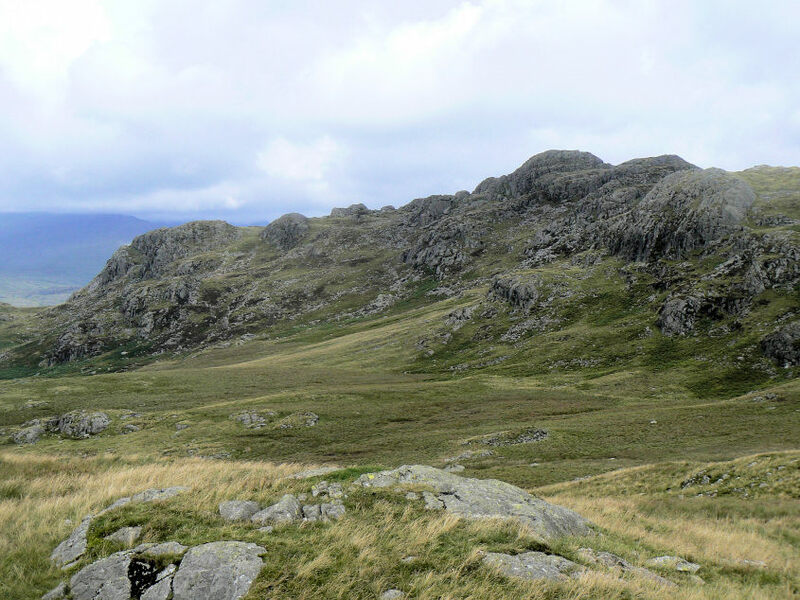 A final look back to Great Worm Crag.